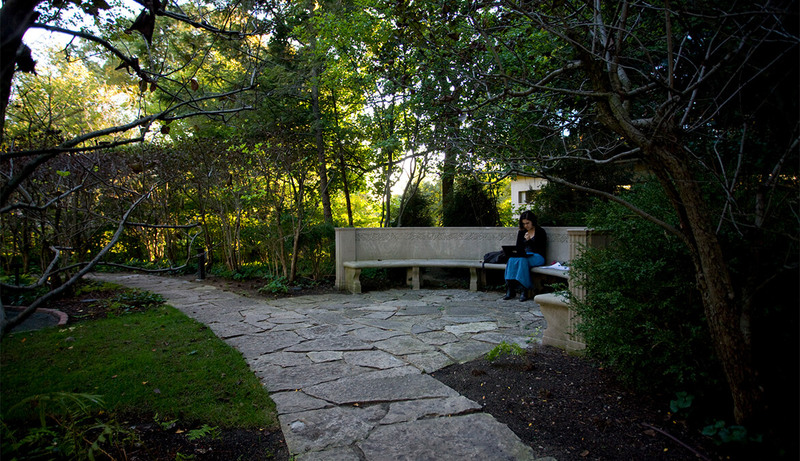 In 1916, Jens Jensen designed the Shakespeare Garden on the Evanston campus of Northwestern University to commemorate the tricentennial of William Shakespeare’s death. 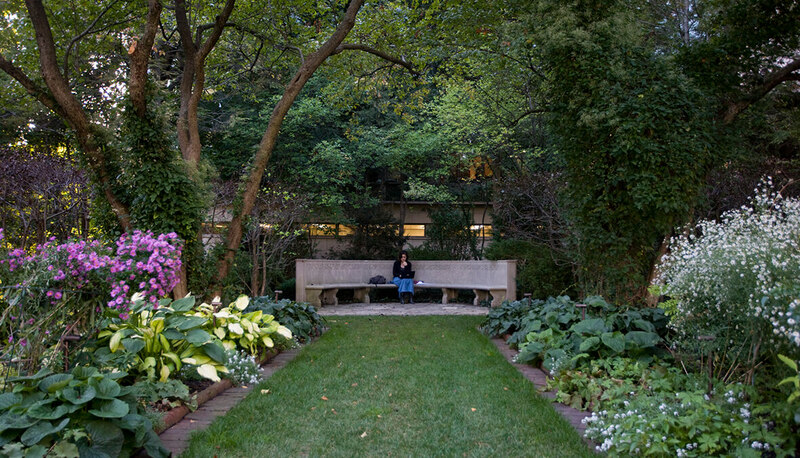 One hundred years later, the University hired Hitchcock Design Group and Rosborough Partners, Inc. to team with other designers and artisans and make enhancements to the garden which is listed on the National Register of Historic Places. The scope included adding irrigation, landscape lighting, and crushed stone paths; designing and replacing wooden benches with cast stone benches and metal tuteurs with cedar ones; repairing and restoring cast stone benches and memorials; re-laying flagstone walks; and replanting missing or declining plants. Working within Jensen’s original parti, HDG led other designers and artisans in maintaining a consistent vision. 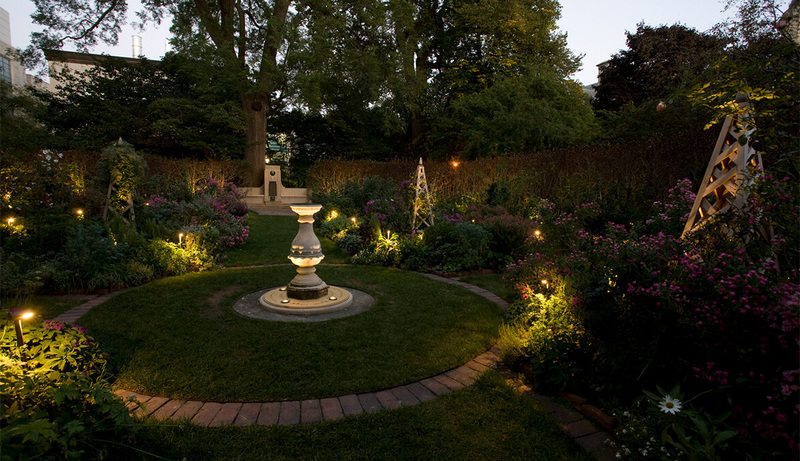 For instance, “A Midsummer Night’s Dream” was used as an allegorical framework for the new lighting plan. The result was to extend the garden’s usefulness by several hours per day, improve visitor safety, and provide a new experience for visitors.